Ready to gobble ‘til you wobble? We have the perfect breakfast for you! Feast your eyes on this adorable turkey! While pancakes cool, slice your strawberries and peel your mandarin orange. Once the pancakes have cooled, place one maple pancake in the center of plate for the body. Then, place one mini pancake in the center of the larger pancake as the head. 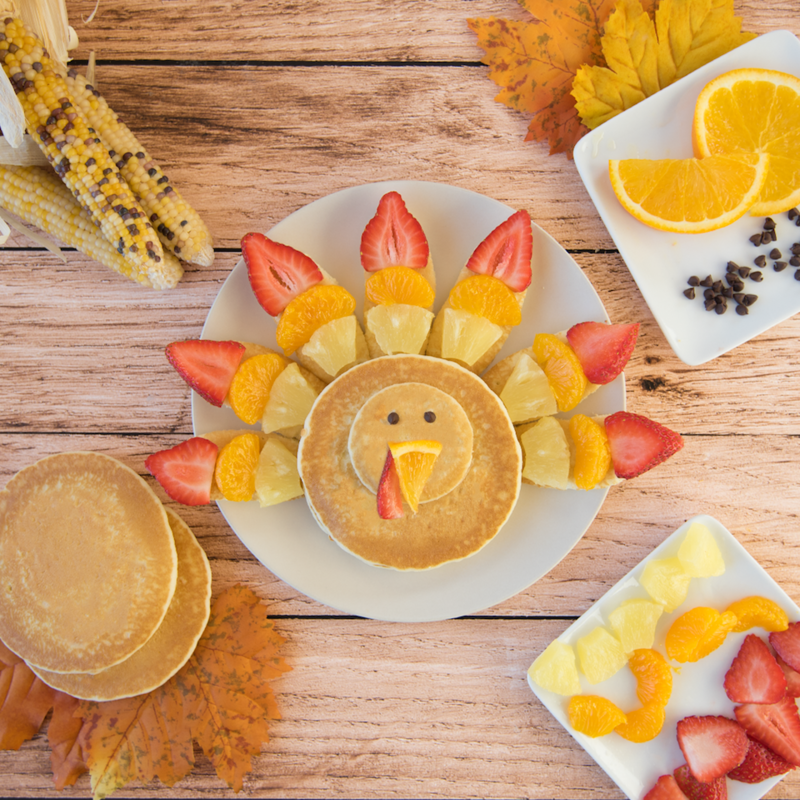 Next, cut your pancakes into feathers, as pictured above, and arrange around the body of your turkey. Then, place pineapple chunks, mandarin slices, and strawberry slices on top of the feathers. Finally, arrange chocolate chips on top of your mini pancake as the eyes, and place an orange slice and strawberry slice as the beak and wattle.